The day after the big announcement, we've seen articles from industry pundits that have run the gamut from the number of people who will buy an iPad to the technical innovations within it. 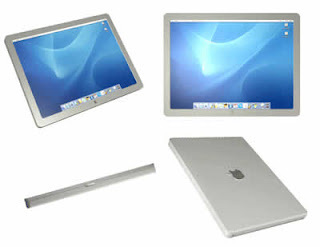 Surprisingly, there's been more naysayers about the product than Apple is used to having. I think the trouble with the iPad is one of perception so far. It's the same problem that bedevils our President - good idea, bad explanation. In my view, the iPad is an ebook reader that also happens to do a bunch of other stuff, which is a bonus. It's being explained as a unit that does a bunch of stuff, and also happens to be an ebook reader. What does that have to do with music? The iPad won't be an innovation that spurs additional music sales because it won't be the type of machine that people buy primarily to use as a storage and listening device, like the iPod. What it does allow you to do is listen to music as you read, or as you search the web, or as you search the book store or app store. Music is ancillary to it's primary function, which is as a reader. This can change though, if any of the media packages meant to replace the album ever catches on. The iPad won't make a significant dent on the music world as everything stands right now, but it will change the way we read. That's innovation enough. I don't normally cross-post from my Music 3.0 blog, but I thought that this was something that was not only pretty funny, but hit very close to home for every musician aspiring to be a recording artist. A and R people have gotten bad reps over the years for being shallow, self-possessed and tin-eared, and deservedly so, but it wasn't always that way. Back in the Music 1.0 (before big business took over) and 1.5 days (during the heyday of CDs but before digital music), you had some label people that were real music men. They understood music, artists, the audience, and the record making process, and would stick by an act they believed in even if the first couple of albums stiffed. We're a long way from that these days. The major labels want to own a piece of every income stream that an artist has, since CD income is decreasing at an alarming rate. This is the last thing any artist wants, but thanks to the times we live in (the Music 3.0 era), all the tools are readily available to not only do the same job as a label, but do it even better. Don't be mistaken in that there is still a place for a major record label in this world. If an artist builds himself up to such a point that it's not possible to get to the next level without the added infrastructure and marketing clout that only a label can provide, then that's a choice that must be considered. But Music 3.0 now allows the artist to enter that negotiation from a position of strength. If you like this animation, there's another one called "The A&R Guy" that's just as funny and so true that it hurts. 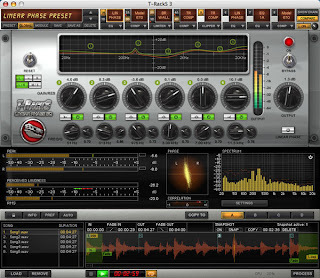 Not everyone can afford professional mastering, and it's so easy to do it yourself these days thanks to some great and affordable tools. The problem is that these tools are so powerful that it's really easy to get into trouble and wind up with a product that's a lot worse than what you started with. The process that causes all the trouble is over-EQing. This is especially true when an engineer is mastering his own mixes. There’s a tendency to over-compensate with the EQ, adding huge amounts (usually on the bottom end) that wrecks the frequency balance completely. 1. Listen to other CDs (no MP3s) that you like first before you touch an EQ parameter. The more CDs, the better. You need a reference point to compare to or you’ll surely over-compensate. 2. A little goes a long way. If you feel that you need to add more than 2 or 3 dB, you’re better off remixing! Where in recording, you might use large amounts of EQ (+/- 3 to 15 dB) at a certain frequency, but mastering is almost always in very small increments (usually in 1/10ths of a dB to 2 or 3 at the very most in rare cases). What you will see is a lot of small shots of EQ along the audio frequency band, but in very small amounts. For example, you might see something like -1 at 30hz, +.5 at 60Hz, .2 at 120Hz, -.5 at 800Hz, -.7 at 2500, +.6 at 8kHz and +1 at 12. Notice that there’s a little happening at a lot of places. Seriously though, if you have to add a lot of EQ, go back and remix. That’s what the pros do. It’s not uncommon at all for a pro mastering engineer to call up a mixer and tell him where he’s off and even ask him to mix it again. Rule #3 is equally important. 3. Keep comparing the EQ’d version with the original version as well as other songs that you’re mastering. The idea of mastering, first of all, is to make the song or program sound better with EQ, not worse. Don’t fall into the trap where you think it sounds better just because it sounds louder. The only way to do this well is to have the levels pretty much the same between the EQ’d and pre-EQ’d tracks. That’s why I like to use IK Media’s T-Racks for mastering. It has an A/B function that allows you to compensate for the increased levels so that you can really tell if you’re making it sound better or not. 4. You have to keep comparing the song you’re currently working on to all the other songs you’re working on. The idea is to get them to all sound the same. It’s pretty common for mixes to sound different from song to song even if they’re done by the same mixer with the same gear, but it’s your job to make the listener think that the songs were all done on the same day in the same way. They’ve got to sound as close as possible to each other as you can get them, or at least reasonably close as to not stand out. If you must do your own mastering, you probably won't do as well as a pro mastering engineer. But if you follow these rules, you'll stay out of trouble and get the tracks sounding better than you thought possible. Ever Hear Of A Panasonic Mic? Here's an interesting video that came from the always entertaining Joe The Flow blog. The video is a comparison between a Panasonic WM-777P mic and some contemporary stalwarts like an AKG 414EB, and Audio Technica AT-4033, and a good old Shure SM-57. The Panasonic mic is clearly broken, but I find this video interesting because I've never even heard of it. I thought I was pretty educated about these things, but this one got away from me. 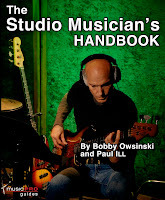 There's been a great deal of interest in The Studio Musician's Handbook ever since it was released. Every day there seems to be more searches and emails about studio musicians, so I thought I'd provide a brief excerpt from the book regarding what makes a studio musician different from a really good player. There are a number of traits that you'll find common in all studio musicians. Has Great Chops - Studio musicians are expected to be creative, extremely versatile, and have a formidable skill set. They are usually the best musicians in town in terms of plain physical dexterity, and are able to play numerous styles convincingly. Your ability to read music will determine the type of sessions you can play on. For record dates, the ability to read and transcribe lead sheets is essential, but many other sessions like jingles and television and movie scores require expert sight reading. Has Great Gear - A wide variety of gear in excellent working order is a must. Having only one sound makes for a boring recording, so the wider the variety of sounds you can get or the more you can double on other instruments, the more valuable you become. Is Easy To Work With - Your reputation among other musicians and those in our industry who make the recordings is what gets you hired and keeps you working, so if other session musicians, producers and engineers like you as a person, like how you play, and like the feeling you bring to a session, then you’re more likely to get calls for work. Smiles and a pleasant, accommodating attitude, as well as superb personal hygiene and an appropriate sense of style go really far in the session business. There are a lot of great players out there and unless you’re something unbelievably special, the people paying your check will always take the easiest to work with all things being equal. No back-talk, no sass, no snide remarks, nothing other than a wide smile and a “Tell me what you want,” and “No Problem!” attitude. Has No Ego - Everyone has their own idea of how they should sound, how the song should be played, how others should be playing it, and a host of other musical items both large and small. That all goes out the window when you’re being hired to play on someone’s recording. You’ve got to have a thick skin while recording, and realize that even if the artist-producer-songwriter listens to your idea it might not carry much weight or be acted upon. If they listen to you and actually use one of your suggestions, consider it a good day. Takes Criticism Well - If you have a fragile ego, being a session musician is not for you. Except for the times when you’re playing a written part, you can bet that every take is going to be listened to under a microscope and picked apart with a fine toothed comb. As difficult as that might seem, you can’t take this personally because the artist-producer-songwriter only wants what’s best for the song. You may play a part with a bitchin’ feel, but if the sound isn’t right and doesn’t mesh with the track, chances are you’ll do it again. Uses Proper Studio Etiquette - There’s a way to do things in the studio and it differs from playing live. A studio musician’s protocol exists and you’ll be expected to abide by it. There's an entire chapter dedicated to this in The Studio Musician's Handbook, but suffice it to say that if you like being the center of attention, studio work may not be for you.